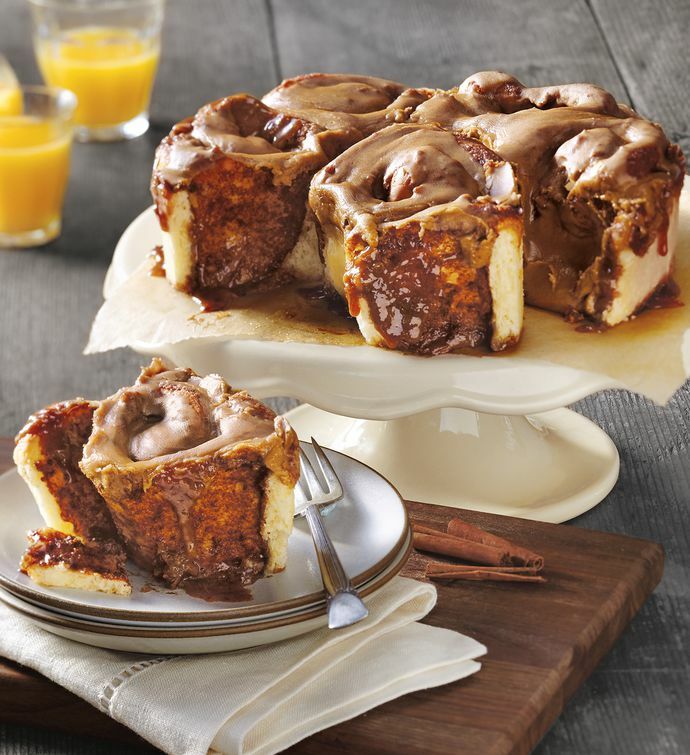 Enjoy the flavor of a maple bar in the pull-apart style of monkey bread. Created from scratch in our bakery, we roll out soft dough, then cut and form it by hand. We coat the dough pieces with a flavorful glaze made with real maple syrup, butter, and powdered sugar. Baked in your own oven, this decadent bakery treat is effortless entertaining at its best, perfect for a weekend brunch or as a sweet treat after dinner.